The following resources provide more in-depth information about specific Total Phase development tools. Please check back for new articles and content as it is made available. Users are regularly discovering new applications for Total Phase tools! Learn how to use Total Phase I2C tools with the A2B Bus Monitor for a full system emulation. 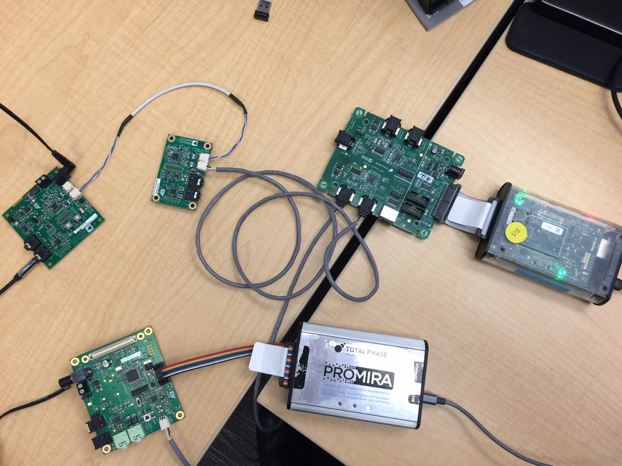 Learn how you can easily generate a CAN to I2C translator with an Aardvark I2C Host Adapter and a Komodo CAN Duo Interface. Not sure which Total Phase host adapter is right for you? Discover the differences and use cases for each one to help you decide. Total Phase is proud to partner with the Atmel University Program to help engineering educators and students. The class-level decoding feature of the Data Center Software makes debugging USB devices even easier. Immediately after plugging in a USB device through the Beagle USB 480 Protocol Analyzer or Beagle USB 5000 v2 SuperSpeed Protocol Analyzer, raw packets are automatically parsed in true real-time into human-readable class-level fields by the software. Programming I2C- and SPI-based Flash and EEPROM memory is quick and easy when using either a Cheetah SPI Host Adapter or an Aardvark I2C/SPI Host Adapter with the free Flash Center software. This guide explains how to get started in 4 easy steps. Accelerate your I2C debugging. Total Phase I2C development tools are powerful and easy to use. The Beagle USB analyzers offer developers a powerful bus sniffing tool for a reasonable price. 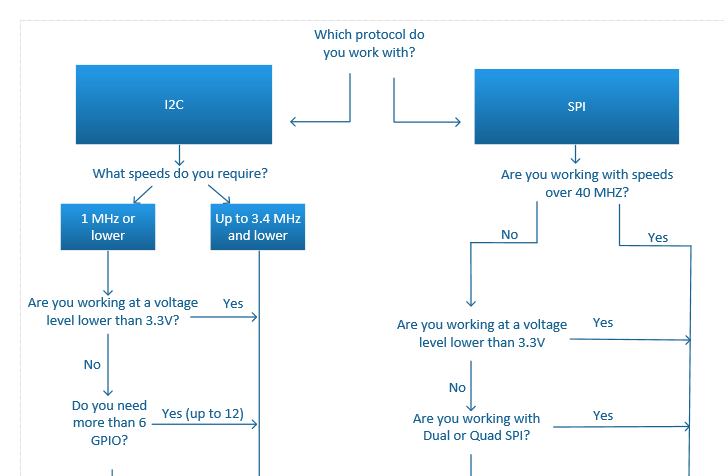 This quick overview provides a summary and a feature comparison of Total Phase Beagle USB Protocol Analyzers. USB Protocol Analyzers come in one of two basic types: software-only analyzers and hardware-based analyzers. Find out why hardware analyzers provide significantly better visibility into USB problems. Total Phase offers a wide range of powerful, budget-friendly I2C, SPI, and USB tools that are ideal for AVR developers. 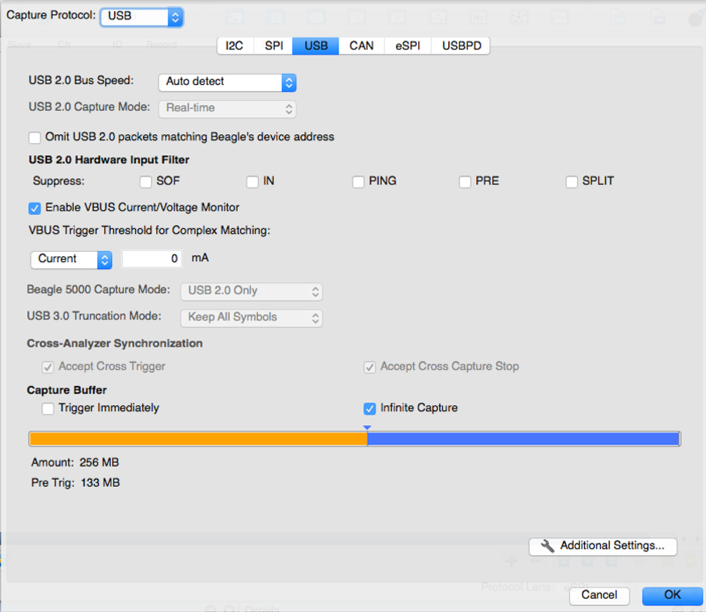 Learn how to stop a capture on a trigger using the Beagle USB 480 Power Protocol Analyzer with the Data Center Software.